The PWD has asked the DMRC to repair such road stretches by the end of this month. 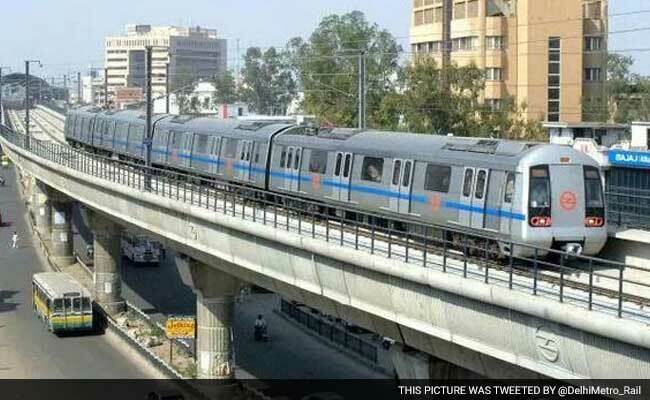 New Delhi: The Delhi government's Public Works Department (PWD) has asked the Delhi Metro to repair the stretches of roads that were temporarily handed over to it for completing its projects, by the end of June. The move comes after the department observed that stretches of roads, which were given to the Delhi Metro Rail Corporation (DMRC) for its projects, are in "bad shape". "The PWD has asked the DMRC to repair such road stretches across the city by the end of this month" a senior government official said. Meanwhile, the PWD has completed resurfacing work on 25 roads under its south zone. Among the roads where resurfacing has been completed, include August Kranti Marg, Nelson Mandela Marg, Agrasen Marg (Kalkaji), Surya Sen Marg, Vivekanand Marg, Pusa Road, Ram Nath Vij Marg and Shankar Road. The department has also come out with another list of roads where resurfacing work is about to be completed. On Mehrauli-Mahipalpur Road, 70 per cent of resurfacing work has been done while on the dismantled BRT corridor stretch, 75 per cent of resurfacing has been completed. According to the department, 60 per cent of resurfacing work has been completed on Aurbindo Marg.